Dimensions 1.75 by 7 by 9 in. Amazon.com description: Product Description: Legendary tales of myth and romance written so everyone can enjoy the stories! Canât keep all your gods and goddesses straight? Wondering about mythological references in classic literature? 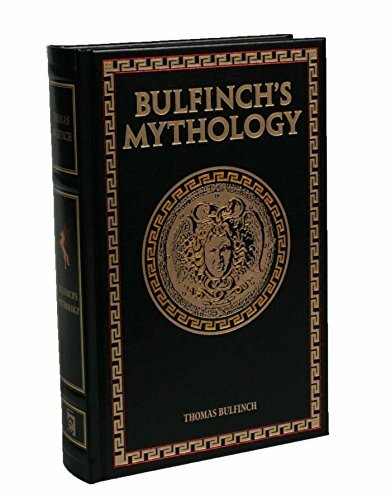 Bulfinchâs Mythology offers approachable accounts of ancient legends in a compilation of the works of Thomas Bulfinch, banker and Latinist. This volume includes all three of Bulfinchâs original titles: The Age of Fable, The Age of Chivalry, and The Legends of Charlemagne. Bulfinch states his purpose for the book clearly: âOur work is not for the learned, nor for the theologian, nor for the philosopher, but for the reader of English literature...who wishes to comprehend the allusions so frequently made by public speakers, lecturers, essayists, and poets, and those which occur in polite conversation.â This compilation was widely used as the authoritative text on mythology in schools for over a century.